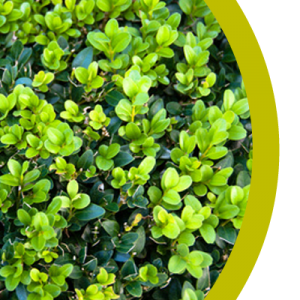 Boxwood or Box (Buxus sempervirens) is a slow growing hardy native evergreen hedging plant with a lightly fragrant foliage. Boxwood or Box flowers are yellow, and appear in the late spring. The growth habit is very dense, with small glossy dark green leaves. This makes it an ideal candidate for low formal hedges. It is suitable in any soil, in particular well drained in partial shade. So, whether it's bare roots, container grown or root balls, we have buxus hedging plants for all budgets and all requirements! For advice on planting density, ground preparation or general hedging care please see our general hedging advice​ and buxus care information pages. If you have any further questions then please feel free to contact our experienced sales team.